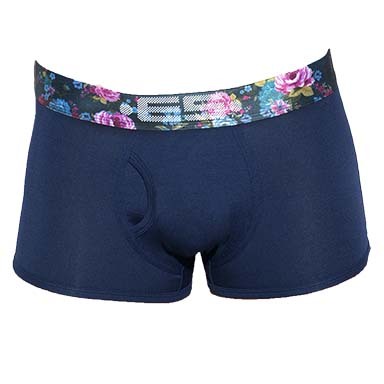 Boxer ES Flowery Collection UN256. Check out these trendy Boxers for this season! Very comfortable to wear, it will bring you all the support sought with its front pocket ... Guaranteed Effect! The flowers on the waistband brings an elegant side. Elastic logo belt ES Collection. 95% Modal, 5% Elastane.